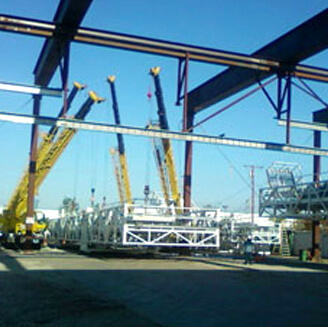 Welcome to Hydraulic Cranes LLC, Southern California’s best value for mid-size mobile crane rental services. 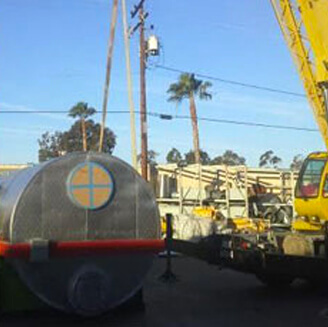 We are a union certified crane company with more than 50 years of experience that prides itself on having more medium size hydraulic cranes than any other mobile crane rental company in the Southern California area. Our large, well-maintained fleet of hydraulic cranes range in capacity from 5 to 300 tons and are available on short notice for rental periods of any length. We also have a team of highly experienced, union trained crane operators, riggers, and signalers with an exceptional safety record. 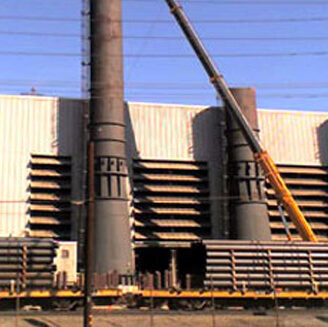 Since 1960, our team has completed hundreds of thousands of lifts ranging from erecting structural steel to laying k-rail to moving solar panels, light poles, commercial rooftop air conditioners, and more for clients throughout Los Angeles and Orange County. 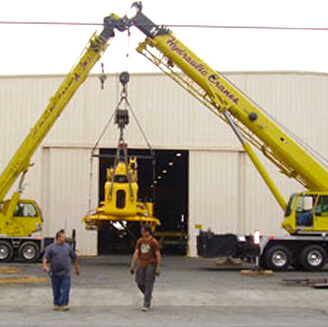 At Hydraulic Cranes LLC, each of our expert crane operators, riggers, and signalers have between 10 and 26 years of experience. 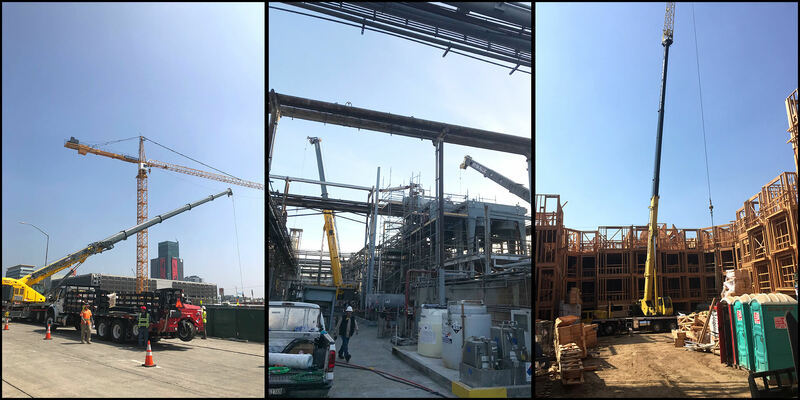 They have earned their Local 12 crane certification by passing both a written test and a hands-on test for crane operation and rigging, and receive ongoing training. Our employees are also required to complete OSHA’s 10-hour training on safety and participate in a random drug and alcohol test program. Safety is the top priority at our company, and we are proud to have an exceptionally low MOD (or EMR) for the crane industry. 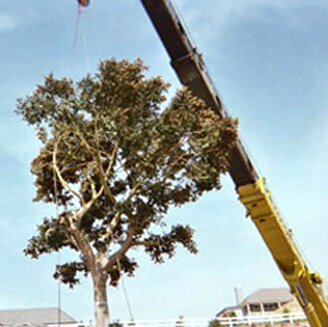 With every crane rental, we always send out a certified operator with the right size crane for the job. 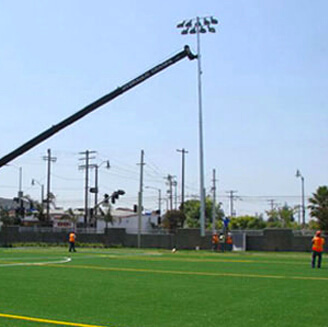 Upon request, we can also supply a qualified rigger and/or signal person. 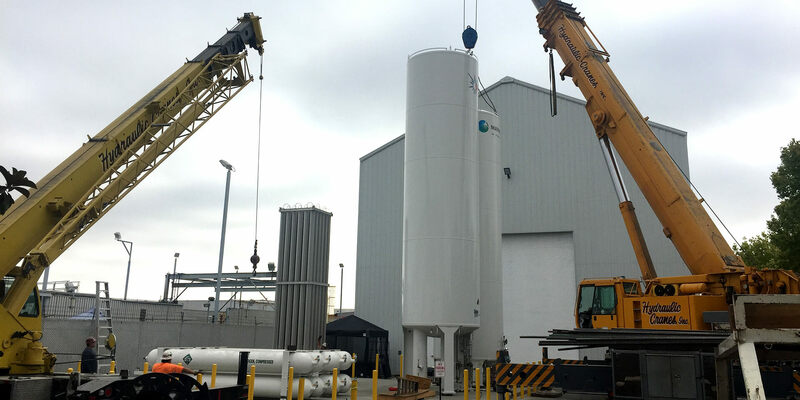 We employ two full-time mechanics to ensure that our hydraulic cranes are always up-to-date on their maintenance and repairs. 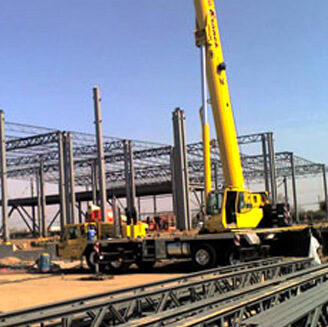 Having our own mechanics also means that we can immediately send out a replacement crane if any issues were to arrive with any of our rental cranes. Accessories such as man baskets, trash bins, cement buckets, pallet bars, and forks are available to our clients at no charge if you pick them up and return them or for a small fee if you need them delivered. Call us today to schedule a free on-site estimate. 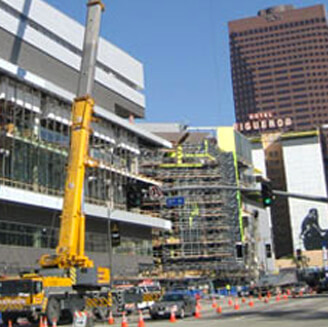 We’ll send out an experienced expert who will come to your property to determine what kind of crane and equipment you’ll need and to put together a lift plan. We also provide and/or assist our clients in acquiring all necessary permits. 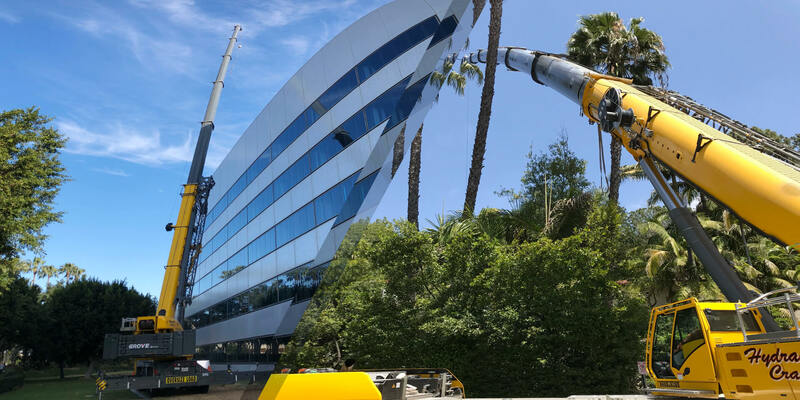 Hydraulic Cranes LLC is a member of the Southern California Contractors Association (SCCA), California Trucking Association, Mobile Crane Operators Group (MOB), and Teamster’s Local 12. Our business is licensed, bonded, and insured. Located in Santa Fe Springs, California, we serve all of Southern California. We offer certified payroll filing upon request.